This All Weather Tuscany Trash Can by Hanamint offers excellent outdoor trash can storage and superb craftsmanship! Hanamint pairs old-world production techniques with elegant designs and intricate carvings creating outdoor items reminiscent of European antiques. Match your outdoor patio furniture with Hanamint's Tuscany outdoor trash can! 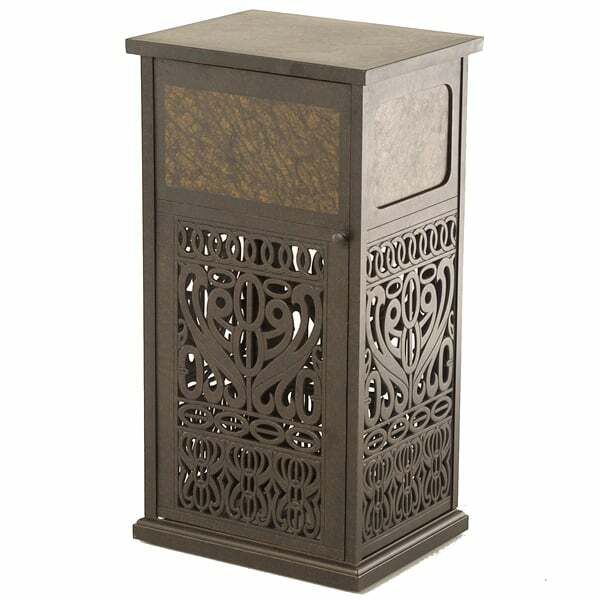 This decorative outdoor trash can features classic antique accenting, and will compliment any outdoor living space, giving your patio, porch or sunroom a timeless touch. We guarantee this Hanamint outdoor trash can comes to you at the lowest price, and you'll discover Hanamint offers elegance and class perfect for outdoor or indoor use! Searching for the perfect combination of style, quality and value? Then you must consider the best outdoor trash can on the market, the all weather Tuscany trash can by Hanamint! Contact Family Leisure today!